Coverage: Live commentary on BBC Radio 5 Live Sports Extra, BBC Sport website and BBC Sport app, plus live text commentary online. England will play in front of a record home crowd for a non-World Cup game when they face Italy in the Women's Six Nations on Saturday. 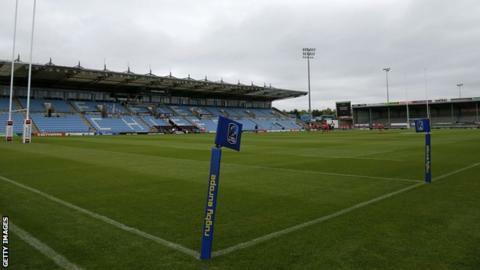 More than 9,700 tickets have been sold - doubling the previous record - for the game at Exeter's Sandy Park. Leaders England are three points ahead of Italy, who are also unbeaten. England have historically played their home games at Twickenham Stoop, but began travelling around the country in 2018 to try to reach new audiences. "I know first-hand how much people love their rugby in this part of the world," said Somerset-born England flanker Marlie Packer. "But taking the Red Roses across the country is also about trying to grow interest in women's rugby, and that's exactly what we're hoping to do by playing here." The previous record for a home game outside a World Cup was 4,674 at England's 41-26 win over France at Doncaster's Castle Park. For a women's match in the UK, the biggest attendance is 17,115 for the 2017 World Cup final between England and New Zealand in Belfast. The biggest global attendance is thought to be the 2014 World Cup final when the Stade Jean Bouin sold out its 20,000 seats for England's win over Canada, but an official attendance was never recorded.